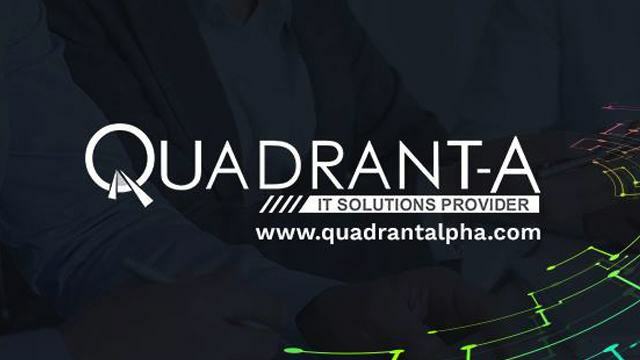 Quadrant Alpha Technology Solution Inc. (QAlpha) provides enterprise software to several businesses based in the Philippines but it is not “a supplier per se;” at least, not according to its founder, Ashley Jorge Kehyeng. To achieve this, QAlpha goes through a complicated, multi-phase process. It deploys a team of business analysts to study its clients and identify their issues, produces well thought-out solutions to meet customer demands and puts these solutions through a series of rigorous screenings before finally being launched. On the side, QAlpha also makes it a point to leverage each project to look into its own processes and see if upgrades need to be made internally in order to improve future services. With all these coming into play, Kehyeng and his team believe that QAlpha has earned the right to call itself “a business partner” for its customers. “We’re very collaborative with our clients,” Kehyeng says. Sitting at Spatzle, a restaurant co-owned by Kehyeng himself, the founder says that the idea for QAlpha sprung from his former business. These are the issues Kehyeng wanted to spare other business owners from. So, after City Delivery was sold to a Singaporean venture capitalist, which then assimilated it into the existing fleet of what is now known as Food Panda, Kehyeng made his move to create QAlpha. In its early days, QAlpha was a small company with a lean team of about three people. Founded on capital worth less than Php1 million, the customized nature of its products prevented it from showing actual proof of concept that can be used to woo clients. In addition, it entered an industry dominated mostly by foreign brands. It was through Kehyeng’s efforts though that the company eventually managed to grow its workforce to around 30, recover its initial investment in about two years and become a legitimate homegrown challenge to the top-of-mind status enjoyed by its larger, mostly international competitors. “What did I do right?” Kehyeng wondered out loud, visibly perplexed by the nature of his success. “The selling,” a woman handling his press relations answered spontaneously. Before they could put together samples, and even before the company was officially registered, QAlpha was already getting booked for its first paying job partly because of Kehyeng’s ability to sell the business. Because of his involvement with City Delivery, he understood what constitutes good software and how to explain its merits to a business owner who may not be tech-savvy. But to sell a service is one thing; to fulfill the promises of that service is another. To accomplish the latter, Kehyeng knew that he had to work with innovative minds keep them by any means necessary, including competitive salaries and an attractive working environment. This is apparent even from an outsider’s point of view. For one, QAlpha isn’t a company that’s too rigid for creativity to flourish. Its name, for instance, is based on Alpha Quadrant, Earth’s location in the Star Trek universe. Meanwhile, Kehyeng as a boss also comes across as approachable among his employees, casually bantering with them over matters like the median age of the company’s workforce (28,) its culture (which they agreed to be akin to having a large “barkada,”) and recreational trips which they plan to go on as a company. Nevertheless, Kehyeng says “work is work.” And when they are on the clock, Kehyeng does not shy away from putting the pressure on his team. He says he has a “non-compromising attitude” with regards to how their software works and his developers are reminded of this with every project. “My attention to detail is very high,” he said. “The [developers] show the software to me first and they have to pass my criteria before they can show it to the client.” And even after his revisions, it is still common for the clients to want changes to the software—changes that Kehyeng and his team would be eager to provide. QAlpha takes care to build lasting relationships with its clients, evident in the company’s obsession with customer service. It can also be seen in the company’s software, a malleable product that doesn’t just cater to its customers but also to what their customers can become. QAlpha has managed to automate the processes of its customers across different industries—from their billings, to reservations, to their inventory management and customer care. Kehyeng says that their software has even increased the efficiency of some clients by as much as 70 percent. And as a business partner to its customers, what’s good for its clients is naturally good for QAlpha itself. Angelo Cantera is a journalist who has been covering the lifestyle, travel and business-lifestyle beats for some of the country's major newspapers and magazines. He has worked for The Manila Times and has served as associate editor of asianTraveler Magazine. Also a lensman, he occasionally does photography for his own travel assignments. Sleep In and Make Millions: Why You Don't Need to Wake Up at 5 A.M.